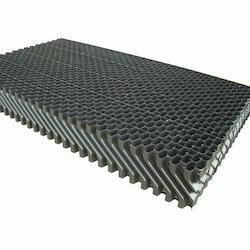 DP Model 5090 & 7090 evaporative cooling pads are developed to provide exceptional wetting properties and airflow to achieve optimum cooling capacity and maximum durability. 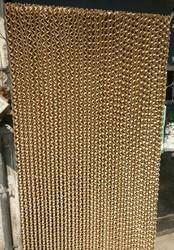 Due to our proficiency of this field, we are engaged in presenting Industrial Fills Ball. We are presenting these products to customers within given time-frame. • An dynamically axial flow type fan is well balanced Construction. 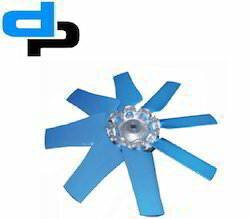 • The fan blades are of case aluminum Alloy, fan with variable pitched blades is dynamically balanced for low vibration and high efficiency. We are occupied in offering CM5PP Nozzle to our valued customers. These products are made under the worldwide industry norms and parameters. 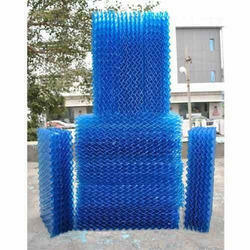 As a prominent organization, we are engaged in offering a premium quality Honeycomb Cooling Tower Fills. The offered cooling tower is specially treated to offer maximum contact area for heat exchange. This cooling tower is used in various industries such as food processing, petrochemical, beverages and construction for removing heat from the atmosphere. We offer this cooling tower in various sizes and other specifications as per the needs of customers. We are offering Trickling Filter Media to our client. 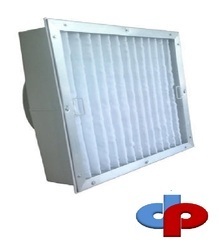 We are providing wide range of Fresh Air Filters to the clients. 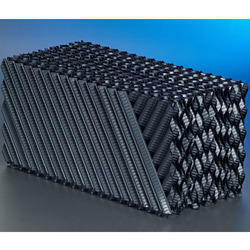 This product is mostly used in industries for air handling applications. This product is manufactured by using premium quality raw material and sophisticated technology. 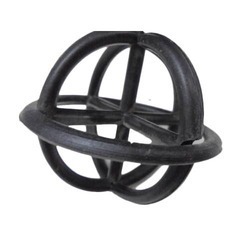 This product is available in different specifications to meet client’s diverse requirements. Looking for Cooling Tower Spare-Manufacture,Suppliers in India ?